Having images of the pathologies when carrying out a diagnosis is undoubtedly highly appreciated by vets, especially in dermatology consultation. 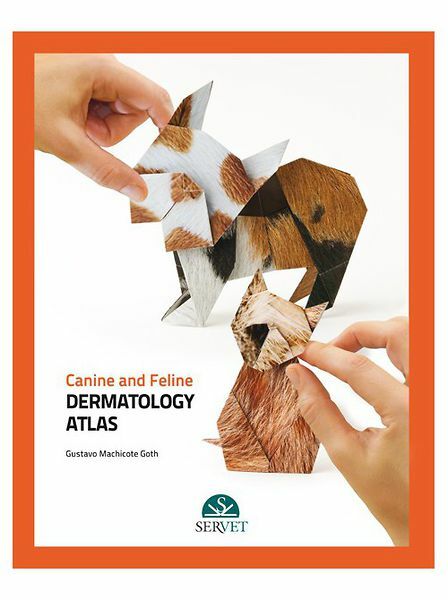 Thanks to this atlas, vets will be able to look at images of common skin pathologies and thus be acknowledged for their “clinical eye”, but they will also be able to view non-typical images that will guide those uncommon cases. Furthermore, typical images that are exclusive of certain localisations of the body (face, perianal area,claws) have been included at the end of the book. Each chapter includes images of the general clinical picture of each disease, aetiopathogenesis of the lesions, diagnostic method and treatment.